When you’re watching YouTube videos, how many times have you heard your favorite creators say something along the lines of, “Let’s get this video to a hundred thousand likes!”? This is called setting a like goal. Reaching a high number of likes along with views can help a video gain favor with YouTube’s trending algorithm and, therefore, reach more viewers. Setting a like goal in your own videos can help you reach more viewers and keep your audience engaged. Here are a few different ways you can set a like goal in every video. 1. Remind your viewers to like the video in the intro. Oftentimes, viewers get so into a favorite creator’s video that they forget to like it before moving on to the next one. To keep your subscribers from forgetting, remind them to like your new video as soon as they start watching. In the intro of your video, set a reasonable like goal. 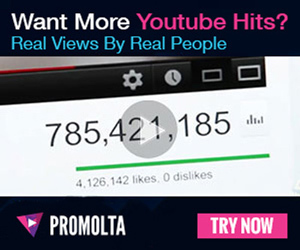 For example, if your last video got a hundred thousand viewers and a thousand likes, ask your viewers to get this video to fifteen hundred likes. 2. Find a creative way to ask for likes in the middle of a video. Maybe you like to keep your video intro short and sweet. Rather than setting a like goal in the opening of your video, you can slide it in somewhere in the middle. This allows you to have more fun with it, but you’re going to have to get creative. Some vloggers tell their viewers to pause the video long enough to like it before moving onto another aspect of the video. Others turn it into a challenge, giving their viewers three seconds to like a video or having them try to do it with their eyes closed. Wengie encourages her viewers to like her video at certain points as “moral support” to help her complete a hack or an experiment successfully. 3. Include the like goal as part of your call-to-action at the end of a video. Finally, you can set your like goal at the very end of the video. Wrap everything up by asking your viewers to leave a comment and like the video. You can also direct them to other videos you’ve posted recently. British content creator Daniel Howell ends every video with a call-to-action. He asks his viewers to like the video, subscribe to his channel, and ding the bell for notifications. Setting a like goal is a great way to get your audience engaged. Encourage your viewers to help you reach a certain number of likes to give your next video a boost.